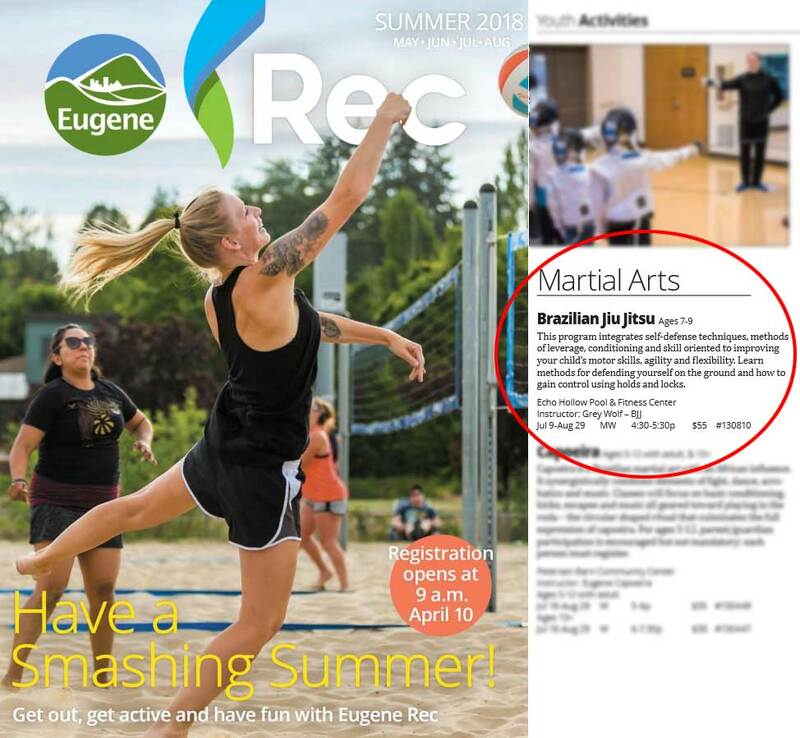 We are proud to offer this special 8 Week Summer Program with Eugene’s Recreation Center. This program integrates self-defense techniques, methods of leverage, conditioning and skill, oriented to improving your child’s motor skills, agility and flexibility. Learn methods for defending yourself on the ground and how to gain control using holds and locks. This is the perfect program for your child to start in Brazilian Jiu-Jitu Martial Arts. This program is focused for new young students with no experience needed. The attire we recommend is a t-shirt (that may get stretched) and shorts or sweats. Registration Opens April 10th, 2018. Space is limited.